Entrepreneurship Development Cell was established on 1-7-2010 with the one faculty as a Coordinator and department wise one faculty as committee members. Shaping the future entrepreneurs to transform the world for a better living. To create and foster entrepreneurial culture among students by identifying, training and motivating students to become entrepreneurs. To create greater awareness of opportunities and benefits of entrepreneurship among the students, to make them realize their dream business through innovative products and to develop greater entrepreneurial culture within the institution. To create greater number of sustainable startup business with potential for further growth. To create awareness among students on industrial business and on the availability of financial assistance enabling them to start their own industrial ventures. Eminent personnel from industry (entrepreneurs), financial institutions (Banks), and academics will be invited to interact and to empower the knowledge in the concern fields that enrich the students how to start an entrepreneur at their own cost and procedures to be followed further. They also share their experiences about their success and failures of growth as an entrepreneur and motivate students at the plethora of opportunities they have in the World of industrial sector and encourage the students to launch new ventures. A Guest Lecture on "Entrepreneurship Development & Opportunities" organised by ED Cell held on 6th August 2018. A 2-Day Workshop with Hands-on Training on Android Applications organized by MITS Innovation Society & ED cell on 26th & 27th April 2018. Inauguration of Pradhan Mantri Yuva Yojana Certificate Course in Entrepreneurship & Seminar on Entrepreneurship by Ms. Swetha Narayan organized by ED Cell on 22nd February 2018. 48 Hours WEBATHON organized by ED Cell on 19th & 20th February 2018. Entrepreneurship Awareness Camp for B.Tech Students from 04-01-2018 to 06-01-2018 organized by ED Cell. A Workshop on "Entrepreneurship & Research Proposals to various Funding Agencies" organized by ED cell & IIIC cell on 15-11-2017. A Seminar on "Entrepreneurship and Self Development" organized by EDC Cell & IIIC Cell on 19th September 2017. A Workshop on "Innovation and Entrepreneurship" by resource person Dr. Pavan Soni organized by ED Cell on 10/08/2017. An awareness programme on "Entrepreneurship Development on E-talk on I3" organized by MITS – ED Cell on 29th July 2017. A Two Day Seminar on "Creating Entrepreneurship and Development Entrepreneurial Management" for B.Tech Students organized by ED cell on 16th & 17th March 2017. Entrepreneurship Development Cell organized a Two Day Entrepreneurship Orientation Programme on 21st & 22nd December 2016 for the final year M.B.A., M.C.A., & B.Tech students in collaboration with National Small Industries Corporation (NSIC), Hyderabad. MITS Signed MoU with National Entrepreneurship Network, Bengaluru (Wadhwani Foundation) on 15/09/16. 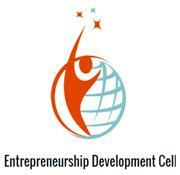 Mentoring Program on entrepreneurship development for ED Cell Facutly coordinators by Sri. Vikram Jit Misra, Regional Manager, NEN, Hyderabad. Orientation Programme on entrepreneurship development for B.Tech III Year, MBA & MCA Students by Sri. Vikram Jit Misra, Regional Manager, NEN, Hyderabad. Mr. Vikram Jit Misra, Regional Manager, Hyderabad exchanged documents with Dr. C. Yuvaraj, Principal, MITS. MITS will have access to various entrepreneurial development initiatives taken by NEN. A Guest Lecture on "Innovation and Entrepreneurship" by Resource Person Mr. Koushal Kushi, CEO, @Vendext, Bangalore was organised by EDC-Cell on 28-09-2016. A Two Day Workshop on “Entrepreneurship Development” organized by Entrepreneurship Development Cell was held at Madanapalle Institute of Technology & Science during 16 - 17 March, 2015. A workshop on “Entrepreneurship Opportunities” was organized on 18/7/2010 through Mr. Prabhakaran, ERS Consultants, Bangalore for the final year students of all branches. A seminar on “Ethics in Entrepreneurship” was organized for the final year students of all branches on 23/11/2011 by Mr. C. Ashok Kumar, Asst. Director, District Industries Centre, Chittoor. A seminar on “Necessity is the mother of Invention” was organized for the final year students on 20/10/2012 by Sri C. Mallesam, Inventor of Lakshmi Aasu Machine (for weavers), Hyderabad.